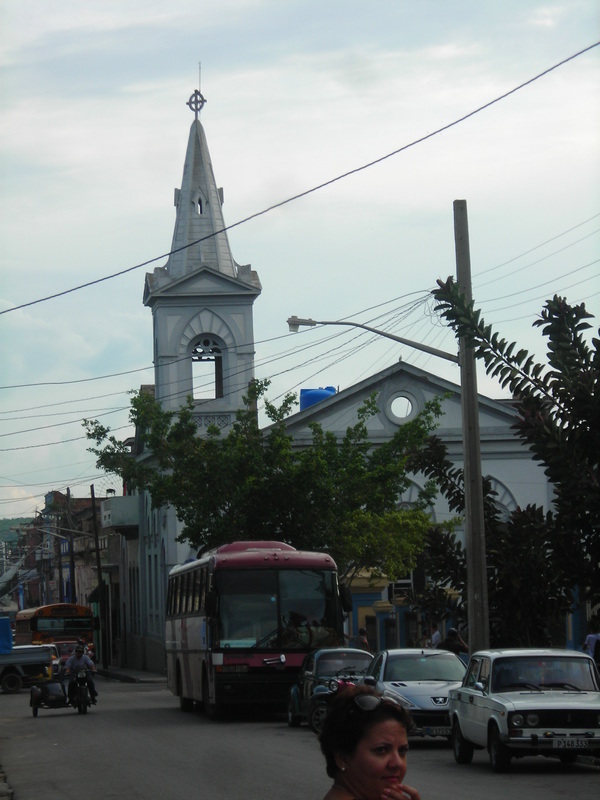 ​Central Reformed Presbyterian Church, Matanzas, (CRPC) is an urban church, in downtown Matanzas City, Cuba, comprised of people from all over the city, including some marginal and peripheral neighborhoods. This is a very diverse congregation by age, education, social configuration, and ethno-cultural backgrounds (African descendants, Koreans descendants, and European descendants). There are 82 members, with typically 90 worshipers on Sunday. CRPC is a very committed and joyful congregation. CRPC has a long standing tradition of Christian witness through the proclamation of the word of God, worship, and Christian education. For this church, the biblical and theological formation of its membership has been one of its main concerns throughout the years. 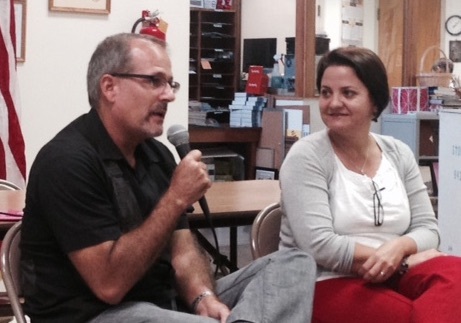 Pastoral care and service to the community through different projects and programs have been a must for this church. For almost 2 decades the women’s group have developed a diaconal program with seniors from the community, providing breakfast for 15 seniors every Saturday. Women have also provided cloth and hygienic bags from time to time. Right now this program has grown in number and service. 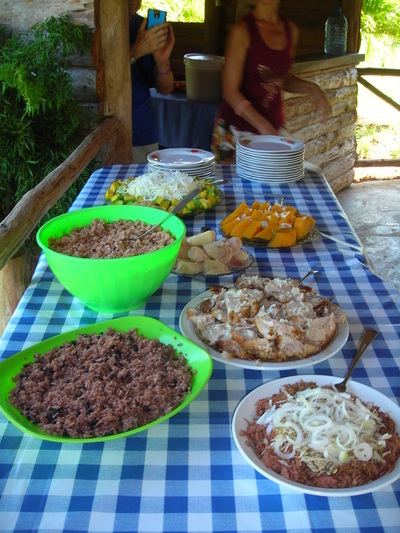 Lunch is provided every Saturday for seniors from the community and the church. At present, CRPC is very focused on the ministry with children and adolescents. Some of them come to church with relatives, others are from marginal neighborhoods. One of these neighborhoods is far away from church; so we pick them up in our minibus (a Toyota Coaster, 19 seats, from the 90s) every Sunday. We offer them a light snack between Sunday school and the worship service. The bus returns them after service. High school ministry. More than 1000 students attend this school, which is in front of our church building. For two years we were praying and looking for God’s signs to see what CRPC could do to serve this school. Finally, the idea for a tutoring program came and from October 5th, more than 20 students, from 10th grade, come every day to our church to receive tutoring on Math, Chemistry, Physics, History and Spanish. After this program started we have received lots more of applications but because of the lack of room, we are not able to extent the number of students. We are committed to serve these students until they finish 12th grade and do the national test to enter to the university. Missionary or evangelistic focus. In 2006 the church founded four missions in two Eastern provinces: Moa, Marcané, and Holguín congregations in Holguin Province; and Manatí congregation in Las Tunas province. From time to time, the pastors and an elder visit them. 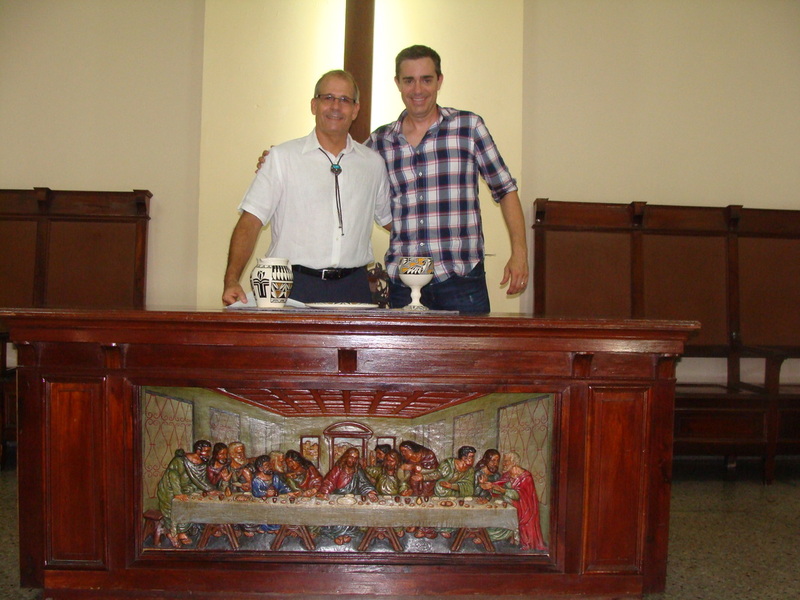 Every year, their leaders come to Matanzas for pastoral and biblical training at the Seminary and in our Church. Right now there is a member of our church, who belong to Holguin church who is ministering these 4 missions. ​Music. In the last few months, a worship band is animating the worship service. Guitars, a soloist, a pianist, come together and are bringing a new life and joy to the worship’s service music. In the fall CRPC was able to hire a musician who is working with the children’s choir. However, the ministry of the music needs more support. CRPC is also looking for volunteers from overseas to help on this important ministry. ​The Presbytery of Santa Fe enjoys a relationship with the Synod of Cuba that began in 1990. 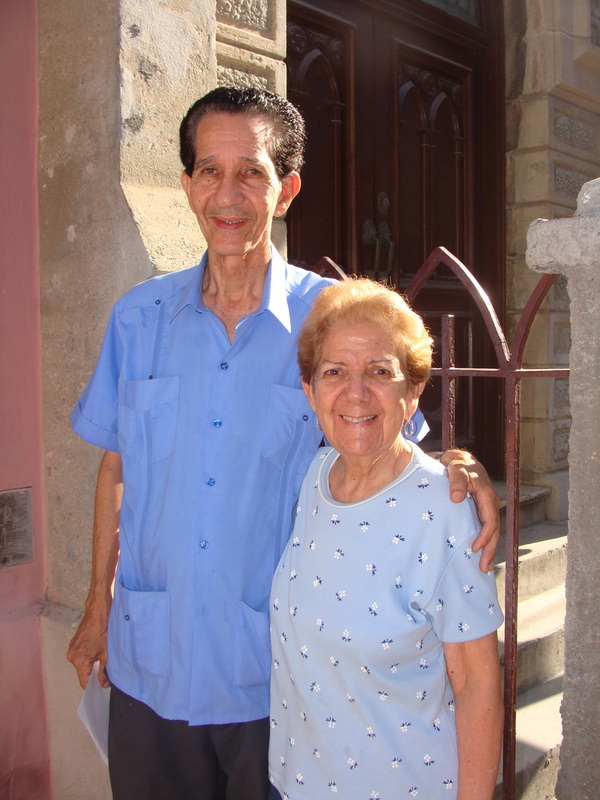 Throughout the years, delegations have travelled both ways between the US and Cuba to facilitate growing relationships and shared ministry. Second Church members Don Bixby, Jack & Anna Torres, and myself joined the most recent delegation of fifteen from our Presbytery. 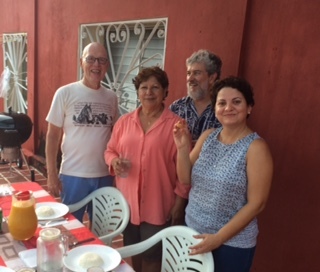 Most of the journey was spent by those of us from Second visiting Central Reformed Presbyterian Church, our sister congregation in Matanzas. 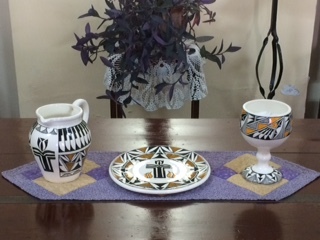 We gifted Central with a communion set (left) from Laguna Pueblo. ​Besides the joy of reconnecting with Ary and Beidy, we were blessed to connect across cultural boundaries through faith with folks from the congregation and community. It was a blessing to be able to see familiar faces from last year and preach once again during worship. We enjoyed the lively worship, Bible Studies in parishioners’ homes, and witnessing their extensive outreach to the community. They provide meals, potable water, tutoring, among other things, and are deeply involved in a sustainable farm/retreat center that we also visited. The faith of the people is something to behold. 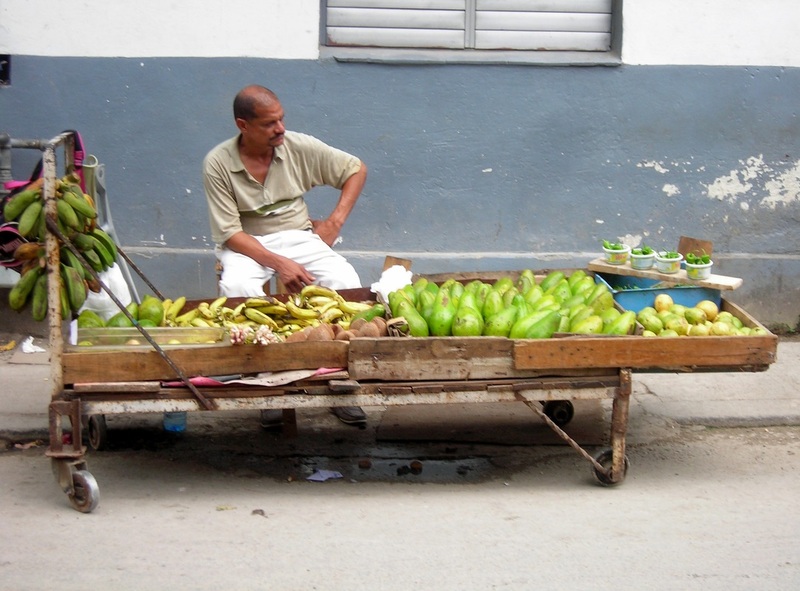 Although material resources are always in short supply, among the faithful in Matanzas, spiritual resources and faith are in abundance. 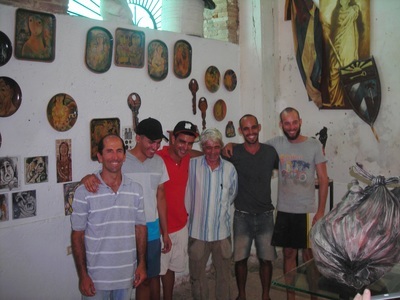 Highlights of the Cuba Adventure, submitted by Don Bixby. For the past 25 years I have been working in the non-profit sector for sustainable agriculture and food systems. While my focus as a veterinarian has been primarily on livestock and poultry, the historic connection between food producing animals and food plants has been an important part of my work. My position with The Livestock Conservancy, headquartered in North Carolina, was primarily centered on North American livestock breeds and producers, and in collaboration with the USDA Gene Bank in Fort Collins, Colorado. But I was also privileged to travel to many countries in Europe, Africa and South America to work and learn about regional traditional food production with climate and culture adapted animals and plants. 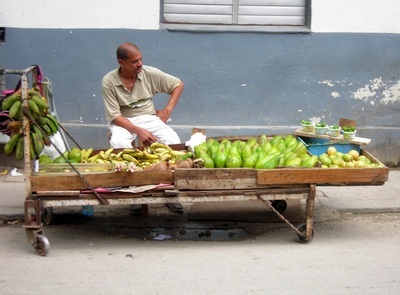 I had never been to Cuba but was intrigued by reports network colleagues brought back from their visits about the great efforts the Cubans have made to adapt their agriculture systems from chemical and fossil fuel dependency based on Soviet imports, to local resource systems using sustainable methods. After visiting with pastors Rev. Dr. Ary Fernandez Alban and Rev. 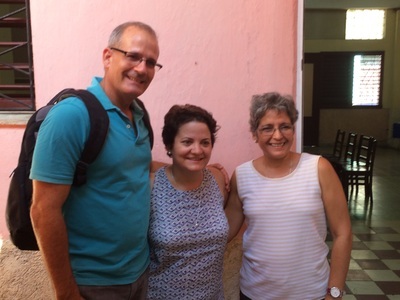 Dr. Beidy Casas Aragon last summer, I was especially interested in the developing plans for the agriculture program at the Demari Retreat Center as an extension of their mission outreach in Matanzas. It was and is my hope that my background and experience might provide helpful perspectives for that effort. We flew from Albuquerque to Miami and stayed overnight there. In the evening we walked into an industrial park to have dinner in a Cuban restaurant that was open air with loud music and great food. We had to be at the airport at 3 am for our 7 am charter flight to Havana. It was a beautiful view over the Florida Keys where the reefs and banks were visible in the clear turquoise water. The Havana Jose’ Marti Airport is small single story with movable stairways for deplaning. We loaded our mountain of luggage and boarded a Pastors for Peace bus, painted as though for a 1960’s rock band. It was easy to spot in the parking lots and generated lots of roadside cheers and enthusiasm. 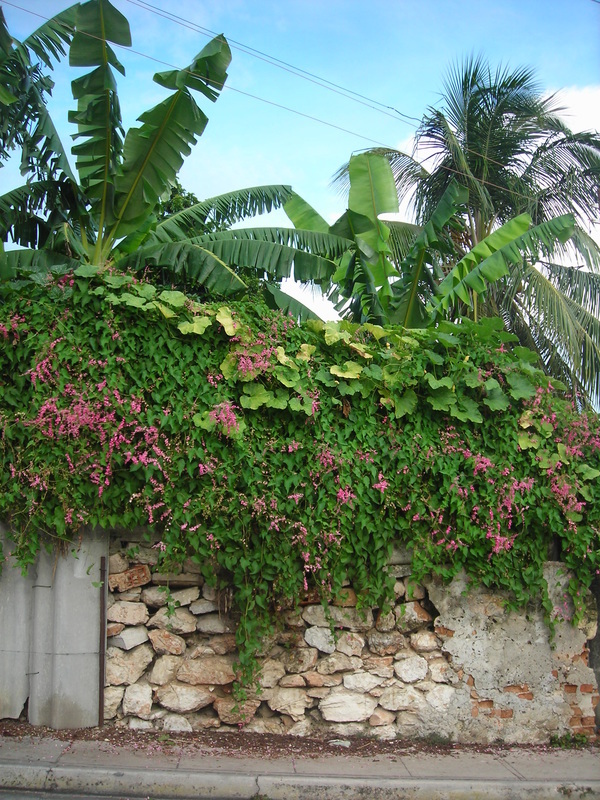 My first impression of the country was that of lots of green open spaces, even in the cities. 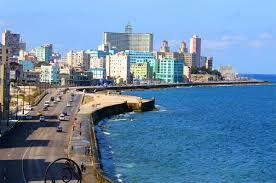 Havana is a beautiful but shabby Spanish Colonial city along with both mid-20th century and modern architecture. The older part of the city where First Presbyterian Church is located has narrow one way streets and tiny sidewalks. Most buildings had balconies with kids, dogs, caged pigeons, plants and laundry filling the spaces. Wooden doors were covered with elaborate ironwork and opened into living rooms. Along with the relaxed and friendly people, there was a great feeling of intimacy and safety. Besides all the pedestrians, the streets were filled with shiny (or not) 60-70 year old American cars, pedicabs, horse-drawn taxis and delivery carts, and vendors of vegetables, fruit and bread. 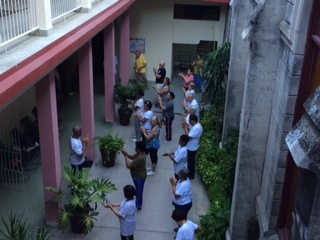 We did not attend a formal worship service at First Presbyterian Church but did sit in on Bible study, observed volunteers hosting an effort to have the sanctuary open to the community every day, as well as the library, Tai Chi class, group and individual counseling and the first Cuban help line. 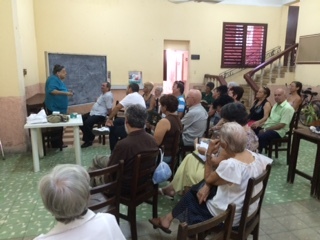 The programs have a major outreach to the community and a large number of participants were not members of the church. 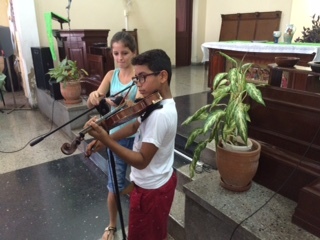 In Matanzas, the worship service felt very familiar even though the service was entirely in Spanish. We guests felt embraced by newly met brothers and sisters. 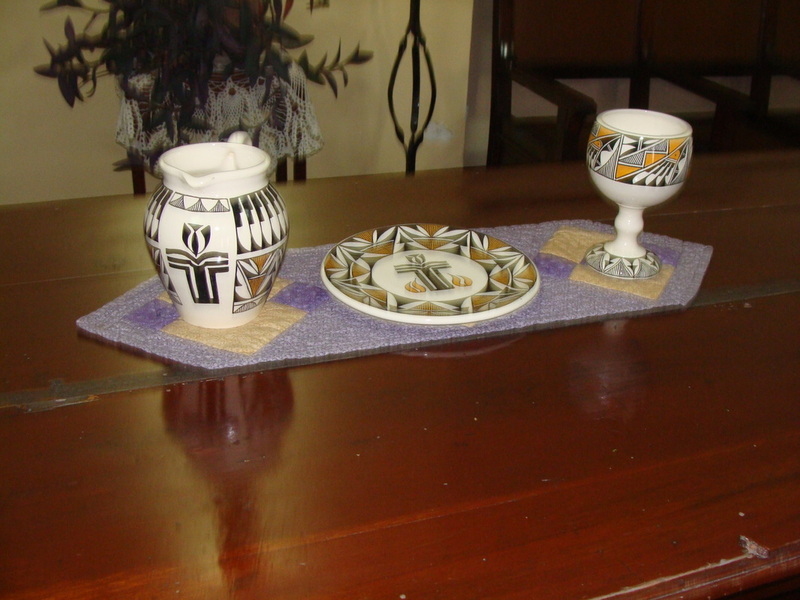 The lovely communion set that we brought as a gift to the church was well received. It had been produced by a Laguna Pueblo potter and included the Presbyterian logo. 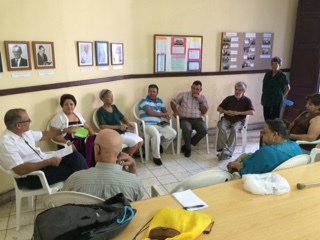 We were welcomed at bible study in parishioners’ homes, at the jewelry making group, at a high school tutoring class, at an English class and other outreach programs of the church. Of special interest to me was the Living Waters system that purifies truck-delivered water with filters as fine as 3 microns, half the size of a red blood cell, and then sanitized with ozone from ultraviolet light generators. 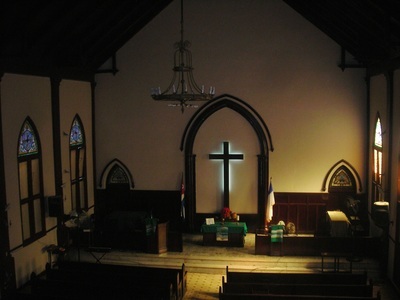 The church is located in the downtown area and is across the street from the high school, the PRE. The streets and sidewalks are narrow but pedestrians and traffic moves at a speed that was at first a little intimidating. 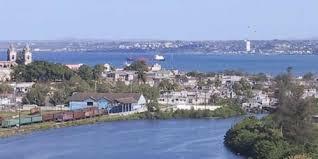 The city itself stretches along a river and a beautiful bay. On either side there are high ridges that give a commanding view of the city, shoreline and countryside. The beautiful Protestant seminary is sited on one side, while on the other side we visited the Demari Ecological Center. 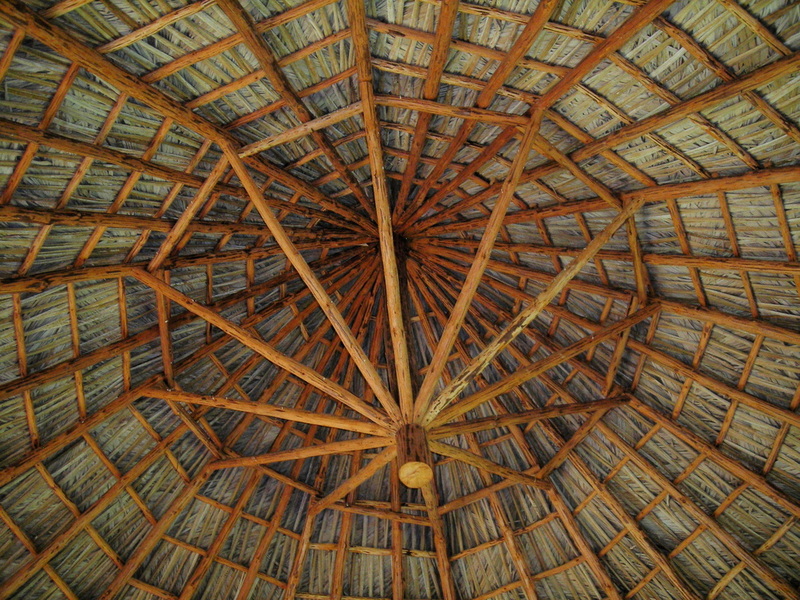 The center is on a 100 acre farm managed by Carlos with help from his mother Rita and family, and serves as a retreat for spiritual and ecological education and renewal. Moving to more sustainable farming practices has already resulted in increased quality of pasture, increased dairy production, and the recharging of springs that had previously dried up. Progress is being made in adding value to the milk produced by making cheese, adding a sheep flock to better utilize pasture and produce lamb for market, and planting orange trees. Beidy serves as director of the board for the center. While Jack and Anna stayed with Ary and Beidy in their apartment at the church, Rob and I were accommodated in a small apartment about 8 blocks away. This gave us the opportunity to walk through the neighborhoods and both observe and be part of the on-going street energy. One night there was a celebration with streamers across the streets, soup kettles over open fires, cakes, dogs, kids and music until the wee hours. What was most surprising was the relaxed and comfortable attitude of the Cubans, unlike my experience in other Communist or post-Communist countries. There was much less in the way of either governmental posters or guerrilla graffiti, despite the sometimes decrepit state of buildings. Our return trip left Havana at 9 am with a transfer in Miami and Dallas. We arrived back in Albuquerque with family and friends waiting to greet us after more than a week with little contact between travelers and stay-at-homes. I am still examining all the experiences and adventures of this trip. 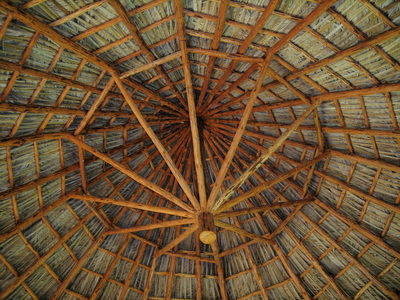 I am in contact with Beidy in hopes of continuing a dialog about the Demari Ecological Center. I would like to explore ideas about returning to Demari for a deeper understanding of what has been accomplished and exploration of what might still be attained.